Today’s touch-screen world is leaving behind an entire segment of the population: those with motor impairments. iSchool Ph.D. candidate Martez Mott wants to change that. Mott is a Ph.D. candidate in the UW’s Information School and an active member of the philanthropy-funded MAD (Mobile + Accessible Design) Lab and the DUB (Design. Use. Build.) 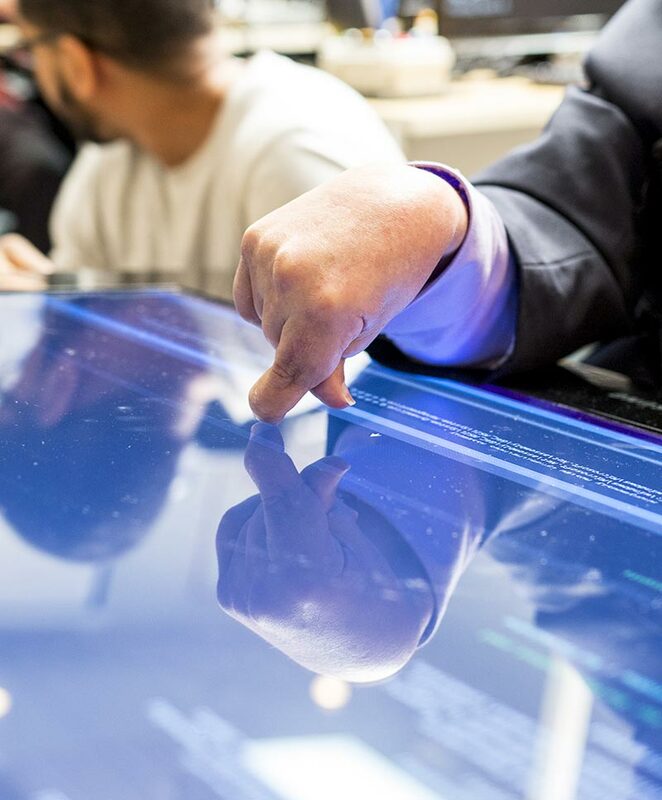 Group, where his research centers on making touch screens accessible for people who live with motor impairments, from cerebral palsy to muscular dystrophy to Parkinson’s disease. For those who live with cerebral palsy, touch might look like patting the screen with the back of the hand, or dragging a palm or a fist. What happens if you can’t touch your device with a single finger? When a single finger makes contact with the screen, the device registers the center of that point as the user’s intended touch point. 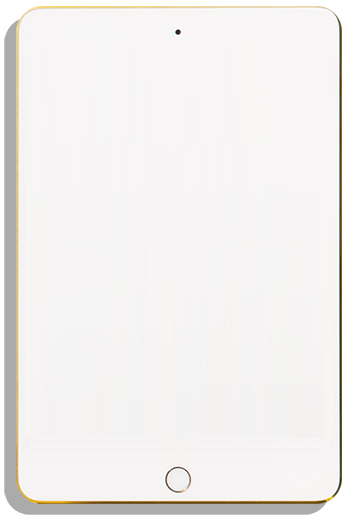 When the back or side of the hand makes multiple points of contact with the screen, the device can’t register which point is the user’s intended touch point. Imagine a system that adapts to touch — whatever that might look like. Enter: Smart Touch. The project is a work in progress, constantly being tested and tuned by Mott and a small team of researchers, including his advisor, Associate Professor Jacob Wobbrock. The objective? To get touch-screen access to a level where anybody can pick up a device and, with a simple calibration procedure, be able to use it right out of the box without needing additional specialized technologies. Think of it as the counterpart to automated speech recognition, where the device asks you to repeat a few phrases so it can pick up on your unique speech patterns. In Mott’s model, the device asks you to touch a couple targets — a balloon or a bull’s-eye, for example — so it can pick up on your unique touch patterns and adjust how it responds. And it’s all guided by Mott’s participants, who give him real-life, real-time feedback. The device asks you to touch a couple targets — a balloon or a bull’s-eye, for example — so it can pick up on your unique touch patterns and adjust how it responds. Mott is just one of many UW students and researchers working to make digital innovations accessible for everyone. By giving to the iSchool’s Human Computer Interaction Research Fund, you can fuel life-changing tech solutions for people of all abilities. Two years ago, at the start of the project, Mott lugged a huge, table-sized Microsoft Surface into Provail: a local center that helps people with disabilities pursue the lives they want to live. Among the nonprofit’s many offerings? Computer classes — and lots of motivated learners willing to participate in his study. There, Mott worked with eight volunteers to make Smart Touch a reality, beginning by asking them to hit targets on the screen. “I had a wide range of participants, so I saw a wide range of strategies used to complete the tasks,” he says. The first person would prop one hand on the tablet for support while dragging the other hand across the screen. The next person would interact with the device in an entirely different way. This, says Mott, is why inclusive innovation — actually looping the software’s target population into the design process — is so important. 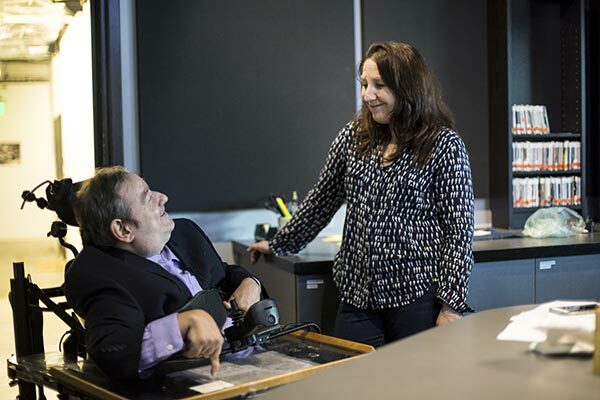 Ken Frye, a Provail participant in Mott’s study who has cerebral palsy, has been in the radio industry for over 40 years, with an impressive career that includes gigs at Seattle’s very own KEXP and Centralia’s Live 95.1. Today, he hosts his own radio show "Ken’s Ten," which features music from the ’20s to today “because all music can and should live together” — but that doesn’t come without its challenges. Watch to learn how Smart Touch could transform the way Frye navigates the world. Failure is part of the learning process, and now — “after a lot of learning,” says Mott, laughing — he has a system up and running. And as he creates newer versions of Smart Touch over the next few years, retooling algorithms to improve accuracy and creating better designs for performance gains, the iterations will only get better. “The hope is that you could buy a device, turn on an accessibility setting, and then go through a calibration procedure for better touch performance so you can use your phone or tablet however you like,” says Mott, who’s slated to wrap up his dissertation by 2019. The University of Washington is undertaking its most ambitious campaign ever: Be Boundless — For Washington, For the World. 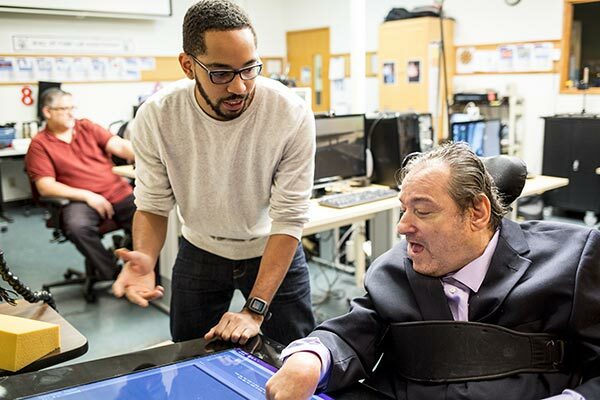 You can be part of Mott’s project and help iSchool students like him make technology accessible for everyone at the MAD (Mobile + Accessible Design) Lab by making a gift to the Human Computer Interaction Research Fund.